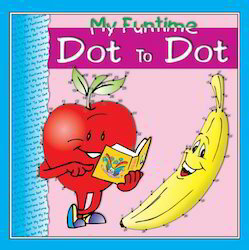 Offering you a complete choice of products which include my fun time dot to dot -blue and my fun time dot to dot - green. Our organization has successfully expanded its business in market owing to the offered elevated quality array of My Fun Time Dot To Dot -Blue. These fun time books are designed using superior quality of paper & printing ink in accordance with the quality standards. Our offered fun time books are thoroughly checked by knowledgeable professionals in order to ensure their correct concept and correct content. We offer these fun time books in numerous customized options at reasonable price. We are the dynamic, business-oriented organization, ranking among the utmost entities in providing My Fun Time Dot To Dot – Green. Our offered fun time books are designed with high quality paper & printed with high quality of inks. The provided fun time books are demanded in the market owing to its attractive printing, correct content and strong binding. Also, these fun time books are completely checked by well-informed experts to ensure correct contents. 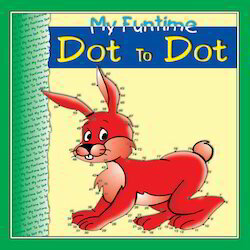 Looking for My Funtime Dot to Dot ?